Remove both wiper arm assemblies. Refer to Windshield Wiper Arm Replacement. Remove both outer hood rear seals. 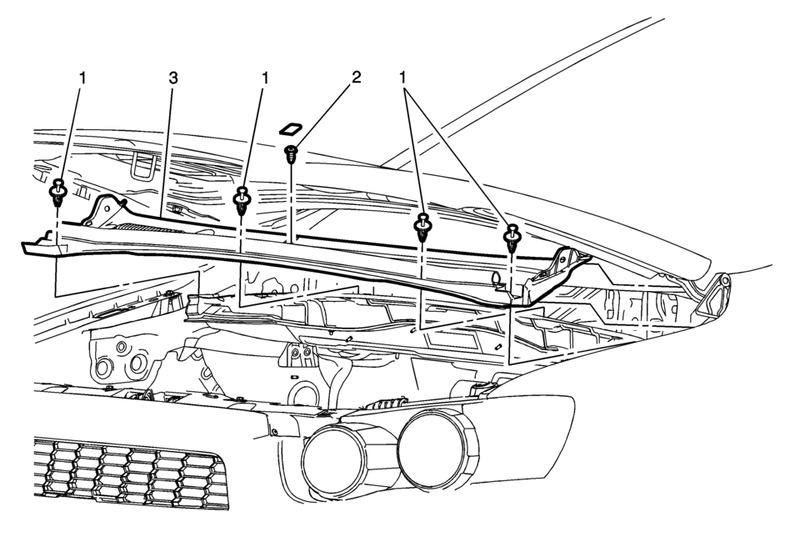 Refer to Hood Rear Seal Replacement. Release and remove the retainers from the air inlet grille panel. Remove the screw cover from the air inlet grille panel. Remove the air inlet grille panel screw. Lift the front edge of the grille panel off the front edge of the dash upper extension panel opening cover. Slide the grille panel forward from both hood hinges. Remove the grille panel from the vehicle. Remove the hood rear weather-strip. Refer to Hood Rear Weatherstrip Replacement.